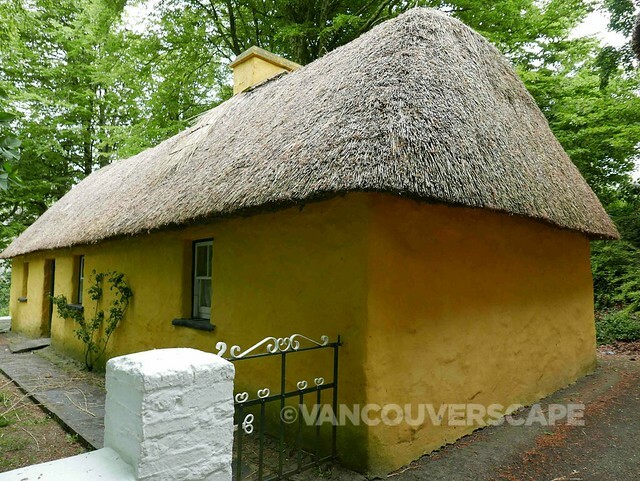 To discover Ireland’s true green beauty, a road trip outside the city is a must. 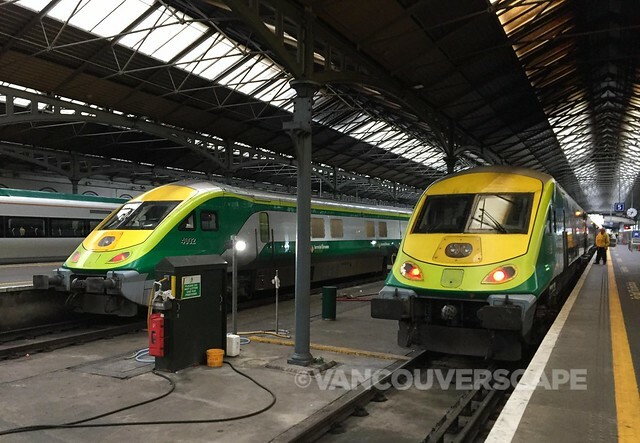 We were invited to experience a day tour with Railtours Ireland on our recent trip and were awed by the country’s gorgeous nature and easy-going personality. 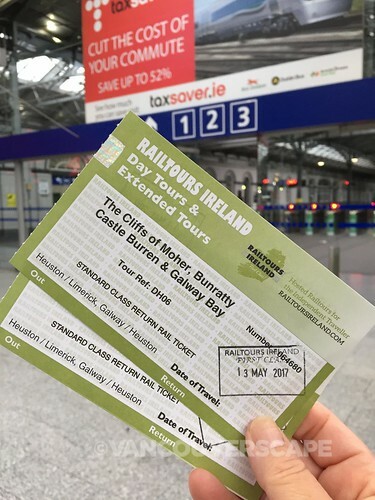 It all begins at 6:40 am, when we meet our guide at Dublin’s Heuston train station. We board Iarnród Éirann (the country’s national railway), getting off at Limerick and then transferring to a tour bus. Our group is primarily from the US, Canada and Australia. A brief tour of Limerick City is given by our wonderful host Bob. 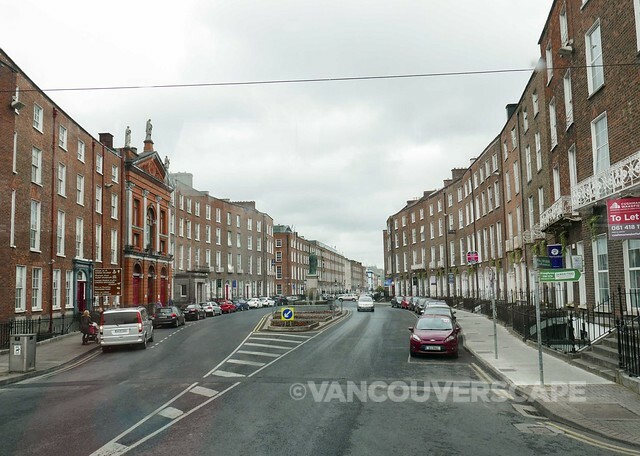 We learn that Brooklyn, NYC-born Frank McCourt (of Angela’s Ashes fame) was raised here when his family moved from New York to Dublin in the middle of the Great Depression. At the age of 20, McCourt left for the US to join the army. Once through his stint in Germany, he returned to America to become a teacher, later penning his iconic novel in the 1960’s. 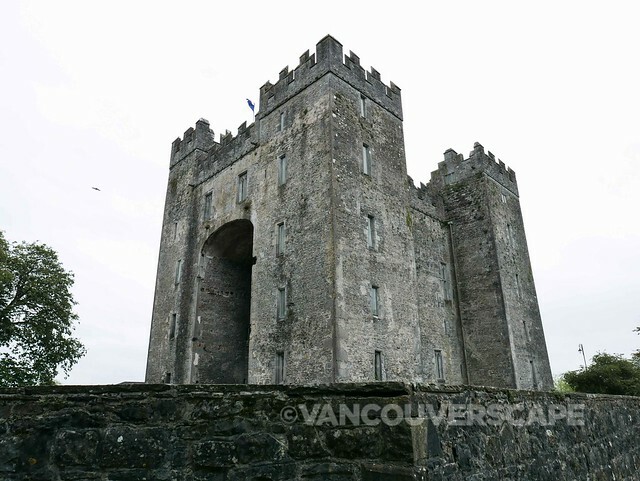 We cross the River Shannon, the largest in Ireland, then get our first taste of the Irish highway system as we head towards our first stop, Bunratty Castle. Bun translates to “end” in Irish; as this castle is at the end of the River Natty, it’s appropriately named so. 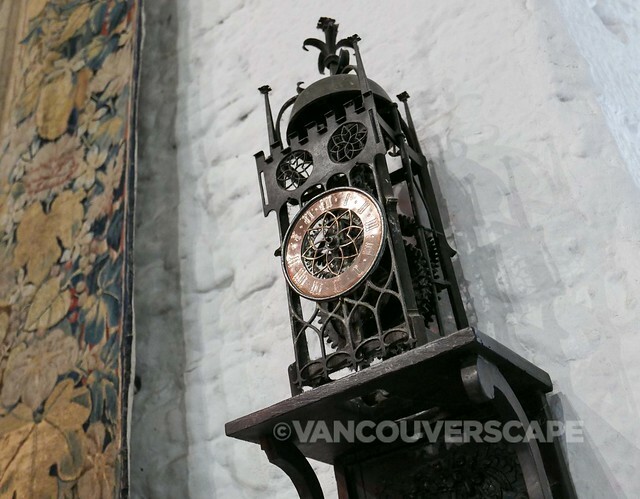 This castle, completed in 1425, is one of the most unique in the world: it contains over 750 authentic artifacts from France, Germany and Belgium, dating from the 14th to 16th centuries. We’re given a brief tour in the main hall then admire the upstairs great hall with its tapestries and super-narrow stained glass windows. 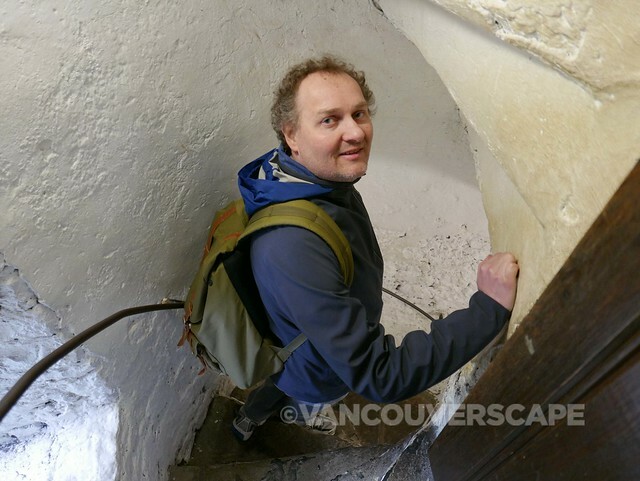 A circular narrow stone staircase leads to the tower where we’re treated to a view of the river below. Near the castle are several small buildings comprising a folk park, many of which were relocated from other regions of the country and assembled brick by brick in this location. With a quick break before boarding the bus, my husband and I head to the cafe and indulge in some coffee and tasty local homemade sweets. O’Connor’s Pub in tiny Doolin is our lunch stop. 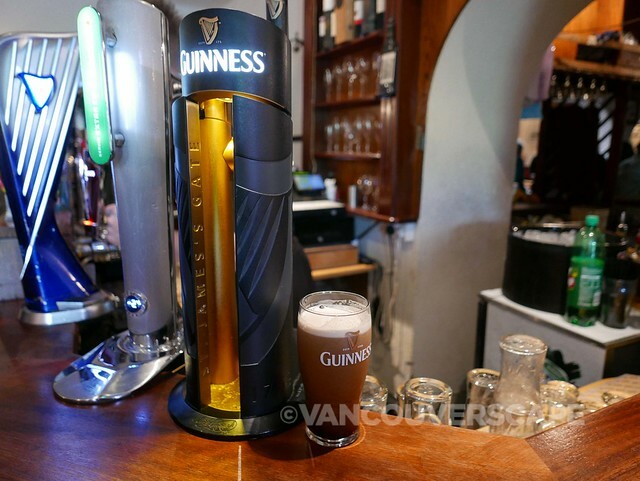 It’s a busy pub with hearty food and an even busier bar. With tour groups coming and going, the service is remarkably fast and my Atlantic baked salmon with chips is the perfect meal to warm up as the weather’s been on and off-again rain. 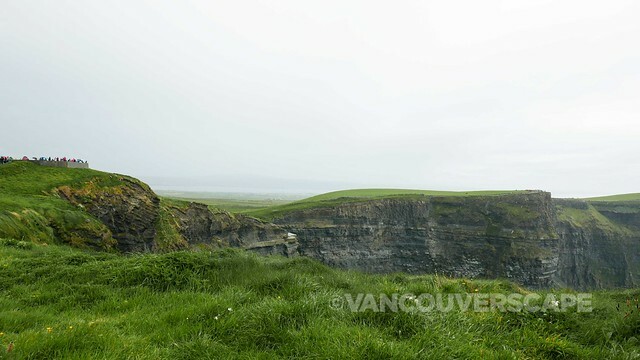 The imposing Cliffs of Moher proves the highlight of the day. It’s impressive to explore, even under rainy conditions. 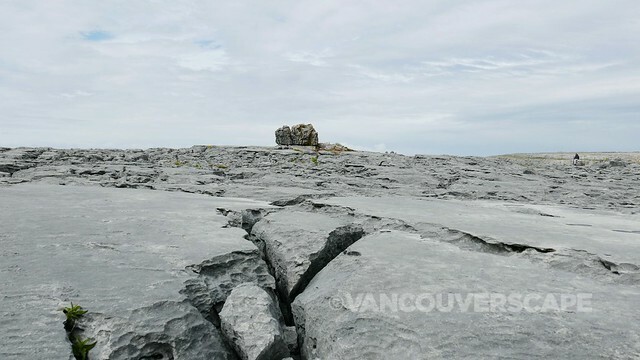 With luck on our side, the skies turn blue and we get some time to grab our cameras and video gear again for some awesome coastal shots incorporating these 214-meter (702 feet) high stunning cliff formations. 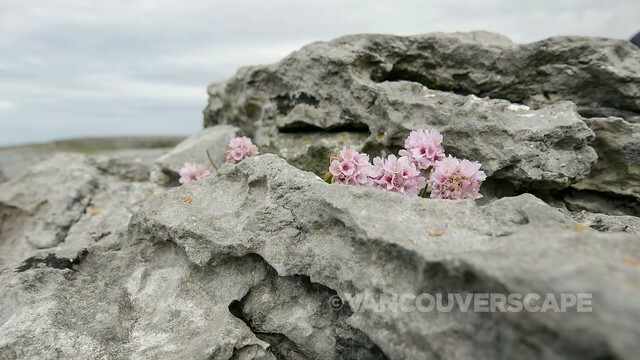 Together with The Burren, the Cliffs are part of a UNESCO Global Geopark containing both outstanding geology and fascinating local culture. 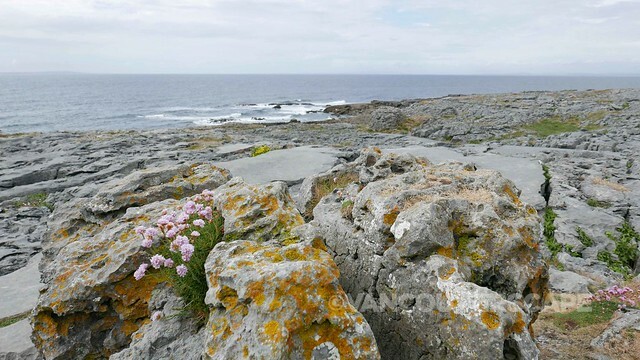 There’s a walking trail from Doolin to here, but you can simply climb up the walkway to get those awe-inspiring views close to the visitor centre. Bird lovers will be happy to know that the area is also protected under the EU Birds Directive of 1979. 20 species of nesting birds including nine species of breeding seabirds call this area home. If you’re lucky you may spot a puffin as they head out to fish in the afternoon (Aran Islands boat tours will likely get you closer to them however). Also in the area: a herd of wild goats, dolphins, seals (and if you’re very lucky) a basking shark, minke or humpback whale. 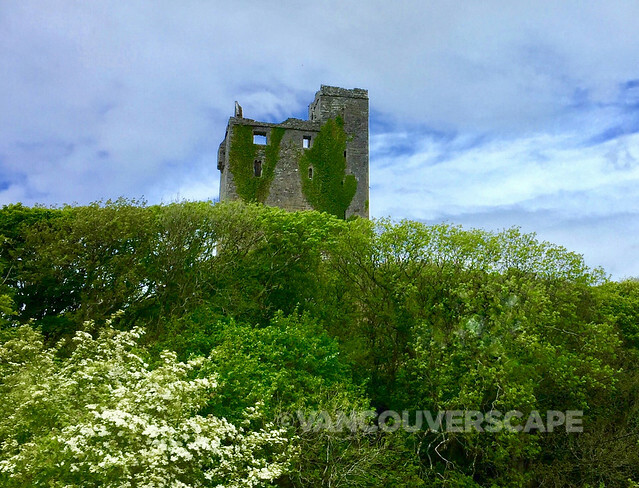 We wind our way along the beautiful coast with those vivid green rolling hills that Ireland is famous for, soon arriving in The Burren, a national park with a crazy cool lunar-like landscape of limestone leading down to the sea. The area is famous for its flora—over 700 varieties of flowers are known here including Arctic and Mediterranean blooms! Birds winter in the region and over the centuries their annual migrations have spread seeds that germinated here. The rain kicks in as we head further along to Galway, our final stop on the tour. Here we get about an hour and a half to explore and get dinner before meeting up at the Galway station for our early evening train ride back to Dublin. We literally cross the country from west to east on this route and during the ride, Bob comes by with a shot of whiskey for each of us to enjoy. 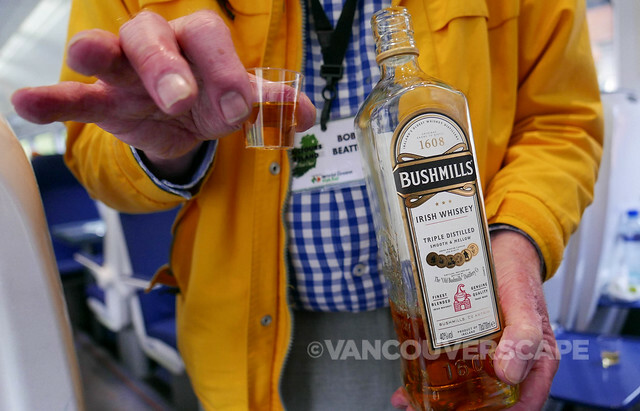 By this time our group’s gotten on pretty well and we raise our little glasses with a Sláinte! 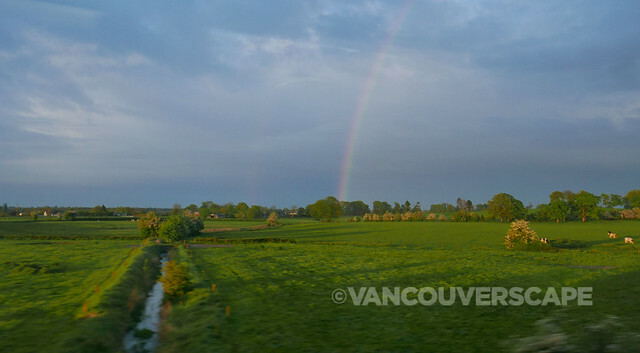 (to your health in Irish), getting lucky with rainbows and a fabulous sunset before arriving back in Dublin close to 10 pm. 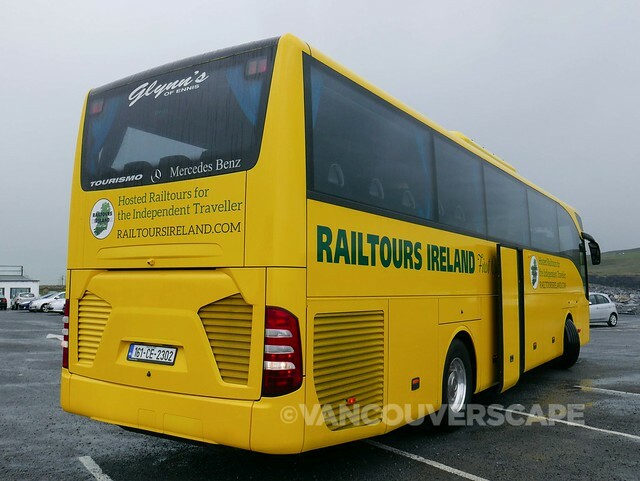 This tour includes return rail travel, reserved seats on the train (with the group all in the same train car), a Railtours Ireland coach throughout, visitor attraction admissions and escorted coach. Meals and gratuity not included. 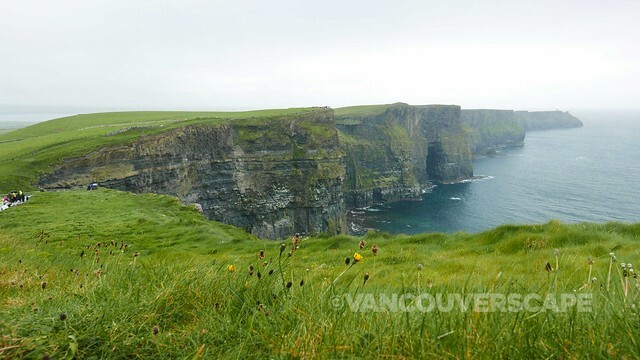 We loved this day out, a great introduction to Ireland outside of Dublin together with some fantastic scenic beauty. 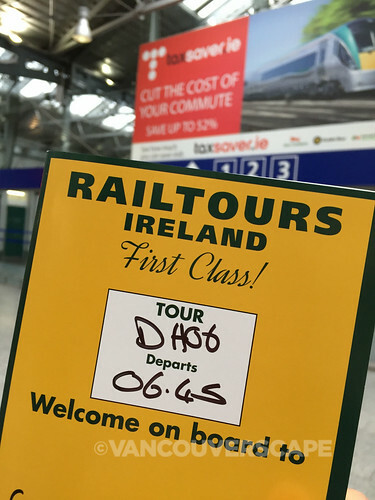 We were guests of Railtours Ireland. Opinions, as always, are our own.